Trevor has over 39 years’ experience as a Civil Engineer with particular expertise in the fields of civil, hydraulic and environmental engineering. Recognised as a leader in his field, Trevor has worked extensively in the areas of urban development, hydraulic analysis and design, environmental assessment preparation, flood management and urban water quality. He is also considered one of Queensland’s foremost experts in the engineering design of urban waterways such as canals and lakes. Trevor has also appeared as an expert witness and/or prepared expert engineering reports for approximately 300 court-related matters, primarily associated with Planning and Environment Court, Land Court and Supreme Court actions. Further strengthening our technical capability is accomplished Engineer, Michael Della. With over 25 years’ experience, Michael specialises in hydrology, hydraulic modelling and environmental engineering, including analysis and design of urban and rural waterways, creek and river systems, pipe drainage networks, bridges, culverts and weirs. 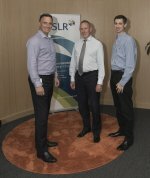 The appointment of Trevor and Michael is in line with SLR’s strategy to expand the water-related environmental and advisory services across the group. SLR’s global team now totals over 50 professionals specialising in a wide range of water-related services including water resources, hydrology and flood modelling, stormwater investigations and masterplans, water management and efficiency strategies, water quality studies and engineering design solutions. This announcement follows the company’s launch of landscape architecture services in Asia Pacific earlier this month, which also adds to well-established expertise in Europe.